“My paintings are my reaction to what I see and experience and they tell my story. I try to fit the technique, color choice and design elements to the piece, relating all the components to enhance the mood and message. This means I may treat each piece differently, but gives what I believe a full expression of what it is I am trying to say. “I want to involve my viewers, to entice them through some realism while leaving some up to their imagination. I use watercolor because the washes offer many possibilities for putting paint to paper. 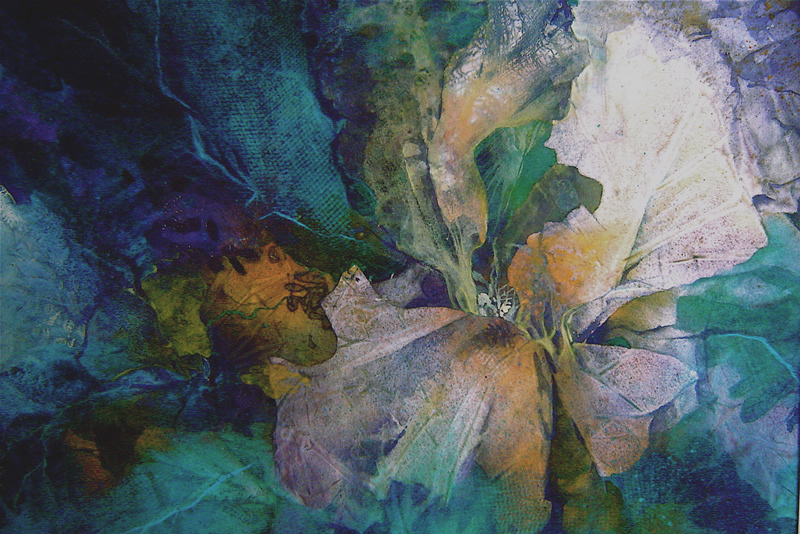 I use acrylic, ink and collage because they offer textural qualities, and subtle details.